Click here to view the TCU Instagram feed. Bob Scardelletti described this 2018 TCU Convention as the best Convention ever! He proudly declared that the TCU/IAM 119th Anniversary is for everyone to celebrate. 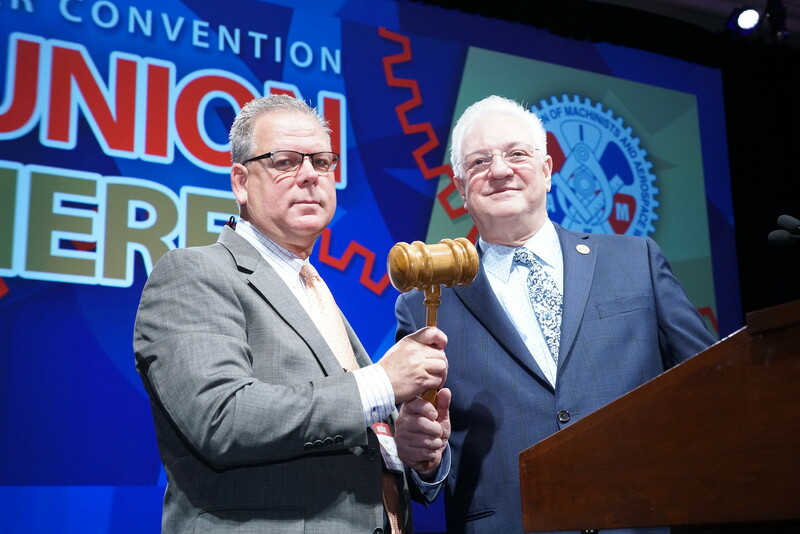 In President Scardelletti’s keynote address he brought comparisons from earlier times and how those fights made us a stronger union today, “We are among the oldest unions in America, in the beginning we were beaten, cursed, fired, blackballed, blood, sweat, tears and death,” said Scardelletti. “It took hundreds of thousands of members standing together and thousands of local reps, people like you, to bring us to where we are today. In a surprising moment IAM President Martinez returned to the stage and presented President Scardelletti with a plaque to commemorate the National Officer elections and the TCU 119th Anniversary.